By Stephen Pappas. Mar 1, 2017. 9:00 AM. 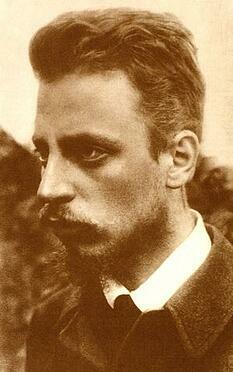 Rainer Maria Rilke was a Bohemian-Austrian born in Prague in 1875. Throughout his life, Rilke searched for a way to reconcile religion, philosophy, and art. The closest he came was when he traveled to Russia with Lou Andreas-Salomé, his close friend and confidant. Rilke glorified Russian peasant life. To him it seemed that Russians were inherently more moral than their European equivalents. What led Rike to this determination? What were the greatest influences on arguably one of the most adept lyrical poets the German language has to offer? 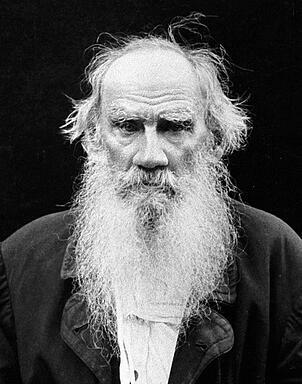 It was undoubtedly Leo Tolstoy who planted the image of Russians as moral superiors in Rilke’s mind. As Anna A. Tavis points out in her book, Rilke's Russia, Rilke would deny Tolstoy’s influence on him as a writer, but Salomé made a point to the contrary, arguing that for Rilke, Tolstoy personified Russians as having deeply rooted souls in all of his depictions of them. Likewise, in Rilke’s novel, The Notebooks of Malte Laurids Brigge he revisits St. Petersburg. Many of the characters suffer from chronic insomnia brought on by the ghostly white nights. While in Russia, Rilke met both Tolstoy and the peasant poet Spiridon Droschin. Rilke would later translate Droschin’s poems into German. He was greatly influenced by the poet and would emulate Droschin’s style when he wrote poetry in Russian. In a way, Droschin served as an inspiration and example for Rilke's ideal moral poet. However, even though the Russian peasants may have served as Rilke’s inspiration, his poetry was always at odds with Droschin’s optimistic poems. Droschin's poetry reflects his direct contact and participation in life with other peasants whereas Rilke found himself always on the outside looking in. Also, many of Droschin’s poems are a commentary on the exploitation of peasants, but the peasants aren’t idealized. They’re still very much human. In Rilke's poems, peasants are generalized as having an unattainable closeness with nature that somehow makes them more moral than other people. Of course Rilke's work did not end after his trips to Russia. In fact, he has become one of the most widely read poets in the United States due to his mystical and religious focus. Still, an exploration of Rilke's Russian experiences serves as a great starting point for getting to know the legendary poet.